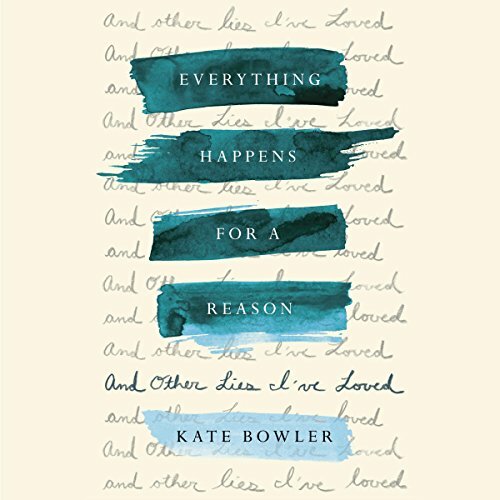 In Everything Happens for a Reason, Kate Bowler asks some serious questions regarding some of the statements people make whenever someone is going through a tragedy. She opens up about how her regular life was turned upside down when she was diagnosed with colon cancer. She pulls no punches as she tries to figure out why, at the age of 35, she is dying and leaving behind her beloved family, yet she has always had faith in God. 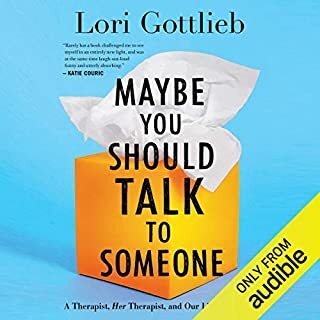 Disclaimer: This audiobook is intended as a companion to, not a replacement for, Everything Happens for a Reason. 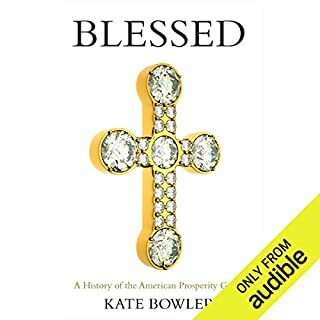 Kate Bowler is a professor at Duke Divinity School with a modest Christian upbringing, but she specializes in the study of the prosperity gospel, a creed that sees fortune as a blessing from God and misfortune as a mark of God's disapproval. At 35, everything in her life seems to point toward "blessing". She is thriving in her job, married to her high school sweetheart, and loves life with her newborn son. The prospect of her own mortality forces Kate to realize that she has been tacitly subscribing to the prosperity gospel, living with the conviction that she can control the shape of her life with "a surge of determination". Even as this type of Christianity celebrates the American can-do spirit, it implies that if you "can't do" and succumb to illness or misfortune, you are a failure. Kate is very sick, and no amount of positive thinking will shrink her tumors. What does it mean to die, she wonders, in a society that insists everything happens for a reason? Kate is stripped of this certainty only to discover that without it, life is hard but beautiful in a way it never has been before. Frank and funny, dark and wise, Kate Bowler pulls the reader deeply into her life in an account she populates affectionately with a colorful, often hilarious retinue of friends, megachurch preachers, relatives, and doctors. Everything Happens for a Reason tells her story, offering up her irreverent, hard-won observations on dying and the ways it has taught her to live. I have never felt more understood. Kate’s capacity for articulating the human experience in dealing with “life in-between” is exceptional. It was all I could do not to weep the entire time. She has so beautifully captured what it is like to simultaneously need to be weary, while needing to also summon the strength to carry on. 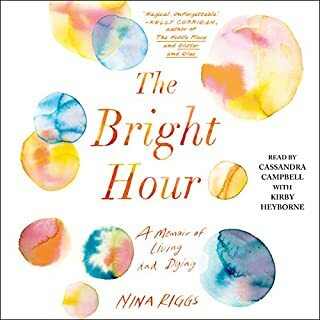 I cannot recommend this book enough for anyone dealing with prolonged illness, medical mysteries, dying, not dying, living, not living, or one who loves others who are. Basically everyone. I’m broken open after listening to Kate. This was beautiful and painful. I laughed too loud and cried too much all the way through. I’m so grateful Kate Bowler was willing to share herself and her experience with the world. Kate Bowler’s memoir is gripping, succinct, and well narrated. She invites the listener in with her dynamic and articulate voice. Her voice can and will take you to the brink of tears and laughter. What made the experience of listening to Everything Happens for a Reason the most enjoyable? The author of Everything.....is also the reader and no one else could have read with the humanity that she does. Kate is more than a character in her book. She is so well developed that the reader both laughs with her and cries with her. What does Kate Bowler bring to the story that you wouldn’t experience if you just read the book? I first heard about the book when Kate Bowler was interviewed on NPR. I loved her at once and knew I wanted to hear her read the book herself. 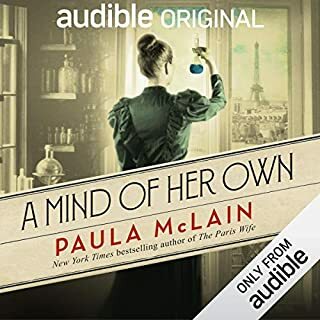 When I checked Audible and found that she was Everything....'s narrator, I bought it immediately and have already listened to it twice! I finished nearly all of the book the first day I had it. I expect to listen to it often through the years to come. I will be referring to her "Appendix" sections often. The "Never Say" list, ie. "Everything happens for a reason," etc. is a must read. Hugs, presents, chocolate, "you are wonderful"s are the things I would like to give Kate Bowler for her brave and amazing book! This book is beautifully written and makes you really think about and appreciate your life. I love the advice at the end. I loved it. She is refreshingly honest and touching. Glad the book was narrated by the author herself. 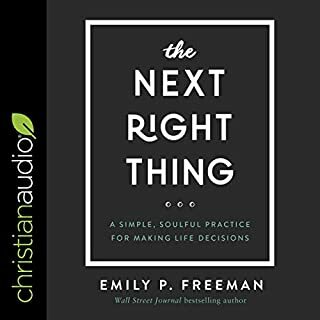 Would you consider the audio edition of Everything Happens for a Reason to be better than the print version? Odd question, did not read the book however hearing this book from Kates tender voice is to experience Kate as she is a wife, a mom, a daughter a friend, a person of painful truths. What other book might you compare Everything Happens for a Reason to and why? "Aging is a F@#$%!ing privilege". Annoying voice. Demands understanding in others. The writer demands to be respected and understood. Surely it's better to acknowledge even if the wrong thing is said? Kate does a great job of telling an authentic story. Warts and all. It encourages me to be more authentic myself. 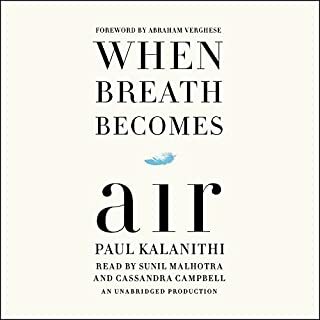 I was really interested in hearing the argument/critique against ‘everything happens for a reason’ and therefore enjoyed the first part of this book. The prosperity gospel was also a jaw dropping revelation. Who knew there were people out there who thought that way. However, I really struggled with the ‘cancer’ section. The author is so heavy handed with her description of the privations and challenges. So much whinging. Could she not find/notice/share any heartwarming vignettes? She just clobbers her readers with the awfulness of it all. It also felt like a huge amount of humble bragging about her husband and family and friends and acquaintances. She tries to sound self-deprecating but it came across to me as self-indulgent angsting. A sense of humour would have leavened the relentless complaining and probably made me feel more sympathetic. so touching and genuine. also really helpful in dealing with grieving people. I'll certainly do it differently in the future. Thought this was about how/why everything happens for a reason, the reason behind it. But it was her life story and journey of going through cancer... sad- but interesting? Not sure!